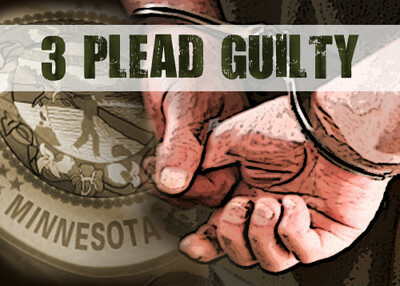 The IPT has obtained a copy of a plea agreement unsealed Wednesday in which a Minnesota man admits he lied to federal investigators about the extent of his involvement in the Al Qaeda-linked Somali terrorist organization al-Shabaab. The plea comes in the midst of a federal investigation into the disappearance of up to 20 Minnesota Somali men. Federal investigators now say the men traveled abroad after being convinced to join al-Shabaab. In the plea agreement, defendant Kamal Said Hassan admits he lied to FBI agents when he claimed "he left al-Shabaab and traveled to Yemen without taking any further acts on behalf of al-Shabaab" after finishing training at an al-Shabaab camp. In reality, Hassan "continued to work with members of al-Shabaab and follow the orders of al-Shabab in Somalia." During his plea hearing Wednesday, Hassan told Judge James Rosenbaum that that he went on to participate in combat with al-Shabaab. Hassan also told the court that he did not provide the identities of some of his contacts in both Minnesota and Somalia to the federal agents. As a result of the deal, the government agreed not to bring further charges against Hassan for his participation in criminal activity that he previously disclosed to government officials. However, the agreement did not give Hassan a free pass on his earlier guilty pleas in February. Hassan pleaded guilty in February to providing material support for both terrorism and a foreign terrorist organization. The document unsealed Wednesday states that Hassan will not be allowed to withdraw or contest his February plea in any way. Hassan faces consecutive sentences of up to 15 years in prison for each count in his February pleas and up to 8 years in prison for his plea Wednesday. This development marks the third in a string of recent guilty pleas in the Minnesota case. Over the past few months Adifatah Isse and Salah Osman Ahmed both pleaded guilty to providing material support to al-Shabaab, specifically building training camps and learning to fire weapons. Ahmed admitted that he was convinced to go to fight for al-Shabaab during a meeting in Minneapolis in October of 2007. Our law enforcement and courts must become familiar with sharia, its themes and injunctions. Without such knowledge they may be confused by deception and/or trapped by false claims of bigotry among the various strategies allowed or encouraged in pursuing the objectives of islamic sharia law - islamification or subjugation of nations. Lift the veil, see the endgame and protect this nation, the sooner the better.